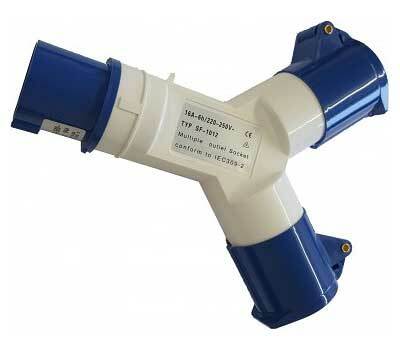 A Caravan mains site plug to suit camping and caravan site electric hookup points that is used to connect two cables to one outlet. The splitter is made of tough durable plastic and has spring hinged covers for maximum socket protection from dust and moisture. The Splitter has one 3-pin male earthed plug on one end and two 3-pin female earthed sockets.